Digital payment is one of the prominent and easy-to-use methods to buy things both offline and online. There are a lot of ways to make these digital payments. Mobile payment app is one of the ways to pay online in a secure manner. 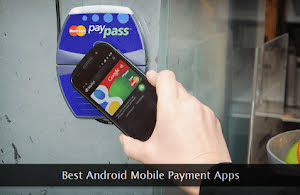 The following list includes some of the most popular, trusted, and reliable payment apps available for Android smartphones. Each of these apps has a large user base with good ratings and reviews. I've also included a popular payment app specially created for European Union users. If for some reasons, you were reluctant to use such apps in the past, this is the time to once try one of these digital payment apps. Most of these apps are available for iOS users too. Whether you're using a custom Android build or using a standard version, these apps work seamlessly on all of them. I'll recommend trying out the shortlisted ones with small transactions before zeroing in for your preferred app. Let's check out some of the best apps built for Android platform to get our very own digital wallet. Before moving ahead, I must tell you to download these apps only from the Google Play store. Never ever use such kind of apps from a 3rd party website or from an unknown resource to avoid getting an infected application. While testing these apps, look for a user-friendly interface as well as an unambiguous pricing structure. If the latter one is alarmingly low or high, think twice before giving it a go. My personal favorite among these apps is Google Pay though it may or may not be the same in your case. Google Pay - This flexible and user-friendly payment app supports good number of popular banks along with PayPal integration too. It allows swift checkout while making a payment through one of the hundreds of supported 3rd party app. A large number of regular eCommerce websites support Google Pay as one of the payment options. One can also send and receive money from friends and connections in an easy way. Referring this app to your connections gives you handsome credits to spend on different kinds of common purchases. PayPal App - I'm dead sure that you're already familiar with the PayPal service. Its mobile payment app is equally popular with a huge user base. Its user interface is one of the best among all the apps included in this list. If you're looking for a dedicated app solely for sending and receiving money from PayPal account holders internationally, then this one is your best bet. The money can be transferred from a bank account, a credit card, or a debit card giving you enough flexibility to choose the preferred source as per the convenience. Transaction notification and tracking are instant and accurate. Cash App - This gorgeous and powerful payment app is going to win your heart the moment you start using it on your smartphone. Its fingerprint protection keeps your transaction details secure. Direct deposits and paychecks can be credited quite easily to the app. Existing credit can be swiftly transferred to your bank account as well. Upon account sign up and app usage, you also get a free debit card. Its cash card can be instantly paused through the app if you accidentally leave it somewhere. It's one of the lightest payment apps that don't drain your smartphone's resources. Lydia - If you're a European Union resident, go for this digital payment app. Its slick interface will give you the best experience the moment you start using it. It's fixed monthly price gives you tons of premium features. There's no limit on the number of bank accounts you can link to this app. My favorite contactless and QR code supported payments are baked right inside the app. For all your online subscriptions, you can set automated recurring payments through this powerful app. It also supports instant payment receipts to give you a peace of mind. Joint accounts can also be used on this app. Venmo - This is yet another user-friendly digital payment app for Android users. You can either link your bank account or your debit card with the app. Bank transfers are also supported by this flexible mobile app. Inbound money transfer and making in-app purchases is always free. And, for other types of transactions, a fixed price is applicable. Multi-factor authentication can also be used with this app for added security. Account holders can make payments either through a phone number or through an email address. Through contact book syncing, you can easily recognize other app users among your friends and connections. Samsung Pay - This is one of the most flexible and feature-packed digital payment apps one must give a try, at least once. You can link almost all kinds of cards to this app for maximum convenience. It has a strong security process supported by multi-factor authentication to keep your sensitive information, private. Its blazing fast in-app checkout experience is quite impressive. Online purchases done through Samsung Pay gives you reward points which can be redeemed for different kinds of other purchases. It keeps your card data in a secure vault on the phone. TabbedOut - If you're a die-hard foodie and a frequent diner, get this app to conveniently pay your food bills at the restaurants, bars, and eating joints. Your credit card information is kept right within the phone in a secure way instead of storing it externally on the cloud storage. The app also notifies about the very best deals, promos, and rewards one can avail from the nearby restaurants. You also get rewards for referring this app to the friends. One can link multiple debit and credit cards to this app to give you flexibility in choosing the payment source with a click of a button. PayApp - The name itself tells what it is made for. This is a reliable and secure digital wallet for avid online shoppers. It has a PIN based authentication system for added security while you make the purchases. This is yet another payment app that gives you instant receipts upon transaction completion. It also supports dynamic barcode system to make the transactions, more secure and hard to penetrate. If you're in a difficult situation, it enables you to instantly wipe off all the sensitive data with a click. With in-app purchase support and PCI compliant security, you can make online purchases with a peace of mind. Glance Pay - This is the second digital payment app in this list I'll recommend to the foodies. It has a great bill photo snapping feature which is so much loved by its users. It also helps you discover the best restaurants in your locality. Needless to say, one also gets exclusive offers and deals to make sure you get the very best dining experience. New users also get handsome discounts on their first two purchases. It also gets good reviews from its users on a regular basis. It is one of the most actively developed payment apps which keeps adding new and useful features to it. LeuPay Wallet - This modern digital wallet has all the flexible payment options like contactless and terminal tapping. Its expense tracking reports are excellent. For completing secure purchases, this app allows you to create virtual cards so that your actual card details are never exposed on the Internet. The wallet itself is locked with a passcode and a fingerprint so that nobody fiddles with it behind your back. It has a transparent and clear pricing structure without any kind of hidden fees. You can also order your VISA card right from within the app and can use it anywhere on the globe. A word of caution: If you're using a digital wallet on your smartphone, do make sure that there's no bloatware or suspicious apps installed on it.